With the beginning of a new Fall television season, TV fans may find it difficult to remember the exact dates and times for every pilot they’d like to catch. Add that to remembering when existing shows return for new seasons, and you have a larger challenge, but it’s one that Tveeco wishes to solve. The new iOS8-ready app gives iPhone users a “simplified” TV guide experience, that allows users to follow specific shows, and receive notifications when premieres are ready to air in primetime. After downloading Tveeco, users enter their zip code to customize the experience, and can start marking their favorite shows, or flagging pilots they’d like to watch. Users can browse a complete list of returning shows, pilots and more on an alphabetical list, regardless of the date they’re set to air, and flag any shows accordingly. The app color-codes these entries so users can keep things straight. Pilots, for instance, are marked with a purple bar, while the season premiere of an existing program is marked in red. The app catalogs shows from a variety of networks, from ABC and FOX to MTV, TBS and HBO, among others. A separate, “New Tonight” calendar section shows users the new episodes that are airing each day, even if they haven’t been marked as favorites, and even if they aren’t premieres, finales and the like. Once users have selected some favorites, the app’s additional functionality becomes available. Users can receive alerts when premieres or finales are airing, and the app creates an episode checklist for each show selection, giving users a list of each show’s individual episodes and their original air dates. “Watching TV is America’s favorite leisure activity, but life’s too short to watch repeats. 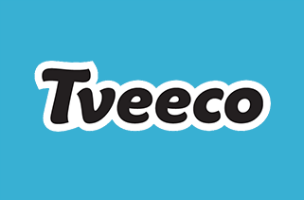 Tveeco is all about making sure you don’t miss out on your favorite shows, but equally important is allowing users to plan life knowing what to look forward to each evening,” said Dean MacNeil, CMO of Tveeco, in a statement. Tveeco is available to download for free on the iTunes App Store. An Android version is coming soon. The app is similar to options like YO.TV, which also keeps track of television schedules, but with a focus on more than just primetime television.